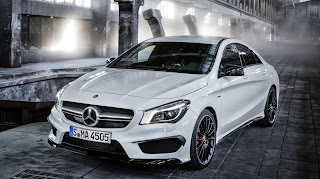 One of the world's mightiest four-cylinder engines, a newly designed AMG 4MATIC all-wheel drive system and a racing-derived Dual Clutch transmission make for a ferocious introduction to the AMG family. The first glimpse stops you in your tracks: The windswept silhouette, with low-slung roofline and classic coupe proportions.The gleam from the twin blade grille. Then you let your eyes wander freely, and the attraction grows. Exclusive AMG bodystyling, with massive front apron and oversized air inlets. 18-inch AMG twin five-spoke alloy wheels. And the chrome-plated tailpipes of an AMG sports exhaust system. But it´s not until you climb into the handcrafted cockpit and settle into one of its sculpted, sport front seats that you realize you´ve just met your automotive future. Underneath the enticing hood, you'll find the new AMG 2.0-liter turbocharged four-cylinder engine. The most powerful four-cylinder production engine on the planet has been paired with the advanced AMG SPEEDSHIFT DCT (Dual-Clutch Technology) 7-speed sports transmission. And the result is 355 horsepower, 332 lb-ft of torque and a 0-to-60 time of just 4.5 seconds***. 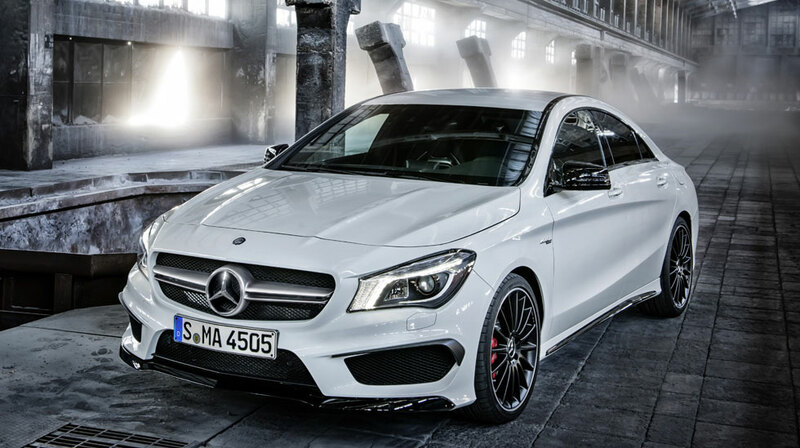 Armed with a newly developed, fully-variable AMG 4MATIC all-wheel-drive system, the CLA45 AMG can whip corners into submission and impose its will on the road. Add racing-derived suspension, braking and steering technology, and you´ve got a high-performance personality that promises to keep things exciting every mile of the way.